Business Info: C’est la Vie Salon stylists are highly-trained Paul Mitchell professionals. They provide first-class service that includes today’s most advanced coloring and hair management techniques. Customers not only leave with great hair, they leave feeling a part of the C’est la Vie Salon family. 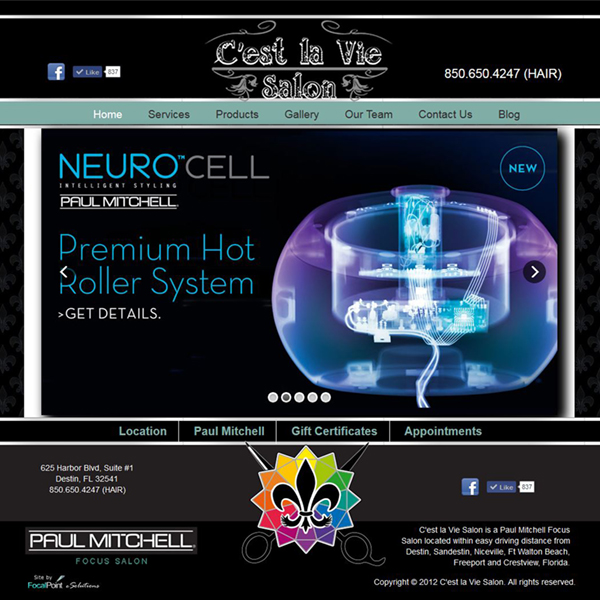 Project Info: The website design project included website design and development that meshed the contemporary feel of the Paul Mitchell brand as well as C’est la Vie Salon’s New Orleans brand. C’est la Vie Salon had a established logo that provided a starting point for the website’s look and feel. The site was built using the Drupal CMS.